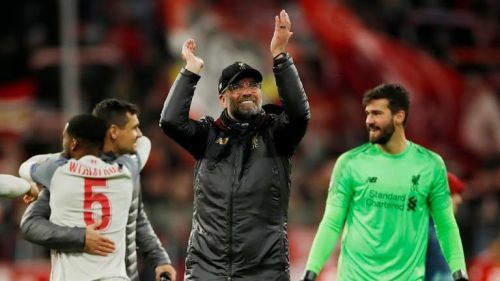 Liverpool cantered into the quarter-finals of the Champions League yet again after dispatching Bayern Munich 3-1 at the Allianz Arena in another historic night. Sadio Mane scored twice on either side of a Virgil van Dijk header as Joel Matip's equalising own goal early on proved to be a mere false dawn for the hosts. The Bavarians, desperate to salvage the all-important win to progress, huffed and puffed from the word go but never once found their rhythm going forward and were also caught cold at the back on numerous occasions by Liverpool's blistering attack. The loss leaves Bayern with their earliest exit from the competition since 2011, whereas Jurgen Klopp and co. continue their march towards another final. Here are the hits and flops from the match. The Senegalese forward has been on a prolific run in the recent weeks and successfully carried his rip-roaring form in the match to strike twice - his third brace in the last four games. 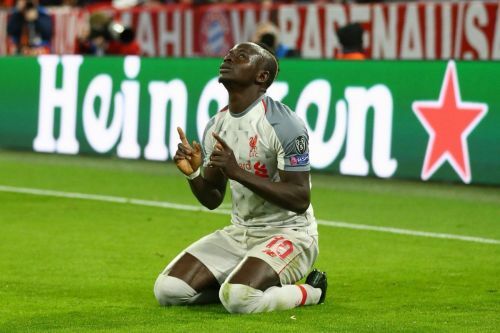 Mane was unstoppable all night; a dagger through Bayern's heart with his incredible burst of speed and relentless run-ins in the final third. He opened the scoring in the 26th minute with a delightful effort, before putting the tie to bed with a header just six minutes from time. The 26-year old also completed all five of his dribble attempts whilst also laying a key pass. His link-up play with his attacking cohorts Salah and Firmino was brilliant too, opening up Bayern with quick passes. Mane ended the game with just two shots on target but it's a testament to his confidence and rich vein of form that he could convert both of them and helped Liverpool to another quarter-final berth.